These days it seems as if all roads in Saudi Arabia lead to Saudi Vision 2030, the government’s strategy to modernise and diversify the Saudi economy. Amongst other things, the government has signalled that it wants to see a far greater level of private sector participation. This has led to a number of reforms designed to facilitate and pave the way for that investment, especially foreign investment. Investors want to be assured that their investments are protected. This includes knowing what their rights and obligations will be if their investment runs into financial difficulty. Up till now the Kingdom has not had a modern and comprehensive insolvency law regime. This has been a major bugbear for businesses and professional advisors. 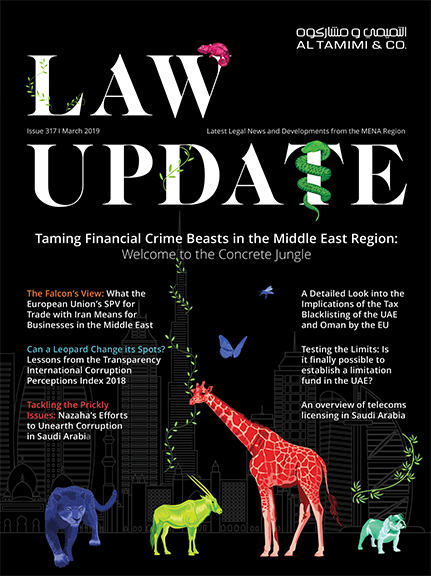 It has led to the disorderly collection of debts and left little scope for workouts and often resulted in a multiplicity of law suits (this has been a feature of several large corporate insolvencies in Saudi Arabia. Businesses and companies were not even able to know the financial condition of the company that deals with them. In 2016, the Saudi Arabian Ministry of Commerce and Investment announced plans to issue a Bankruptcy Law and published a draft of the proposed law. The new law contains features of a modern western styled insolvency regime reflecting the extensive benchmarking processes which occurred as part of this development. So what are the most important aspects businesses and individuals should be fully aware of? One key objective of the new law is to help the bankrupt or insolvent debtor who is expected to suffer a financial disruption to reorganize his financial position, resume his activities and contribute to economic support and development. The law will also help maximize the value of the sale of assets in addition to and ensure a fair distribution to creditors according to established priorities. Preventative settlement, financial reorganization, liquidation and administrative liquidation will form the four key aspects of bankruptcy administration within the Kingdom. Rights of set-off are regulated so as to maintain equity between creditors. Transactions done with a view to defraud creditors or conceal assets are prohibited. Violations may attract stiff penalties, both financial and criminal. The new law has additionally established a non-judicial administrative committee which will establish, keep and manage the bankruptcy register and prepare a list of bankruptcy trustees and competent persons. The implementation of the new bankruptcy law is an important step towards the Kingdom achieving its ambitious economic diversification programme. While questions remain in relation to its implementation, it is a positive step forward in the further strengthening of Saudi Arabia’s legislative and financial structures.